Contemporary neuroscience fairly certainly supports our basic intuition that individual human beings construct their identities out of stories, and what is true for individuals is also true, though usually in a more complex way, for cultures. To make the point through an unusually straightforward example, the story of Manifest Destiny had an interesting variant, which can be summed up in the slogan, “rain follows the plow.” The slogan captures an interesting story, one that sees the yeoman farmer heading into the “Great American Desert,” breaking up the sod, planting “civilized” crops, and finding that God shed his grace in rain on the newly opened fields. This variant of a story of God providing for his chosen people did not account for the fact that the western prairies were semi-arid, and, while a series of wet years might support farms, the long term climactic patterns could not sustain the kinds of agriculture known in the much moister east. Still, when those settlers who took advantage of the Enlarged Homestead Act of 1909 to settle in the drier uplands of Oklahoma found that they were able to thrive for several years, they believed their story. What was there to disbelieve? A long drought that began in 1930 put most of these farmers on the road not only to destitution, but also to other states. California’s Delta towns would have a different population if this story of providential rainfall hadn’t first moved so many people to Oklahoma. This brief story of a story merely exemplifies a much larger pattern not just of how human beings selectively interpret their lives by way of narrative arcs, but how these narratives shape human action. We try to make sense of the past by telling its story; in the process, we shape our present and our future. 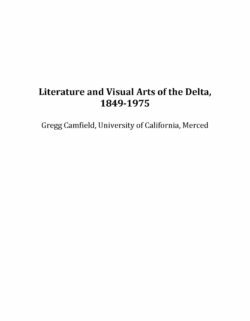 This paper examines land and water use in the Delta from before European contact in 1769 to the beginning of the twenty-first century. 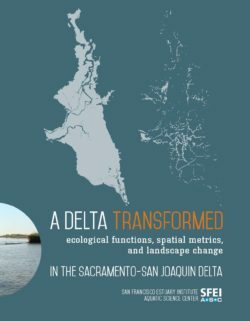 The focus lies, first, on the ecological transformation of the region during the late eighteenth and early nineteenth century from a tidal wetland to an engineered, reclaimed agricultural landscape, as well as on some of the individuals most responsible for that transformation and, second, on more recent environmental conditions in the Delta, especially water quality issues, and on the restoration of wetlands around the Delta’s margins. 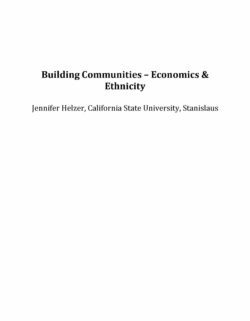 This paper begins with the Delta’s geological origins, and then discusses how Native Americans used and modified the land, and accounts for the activities of Spanish, Mexican, and early Anglo explorers in the region, as well as the consequences of those activities for indigenous peoples. 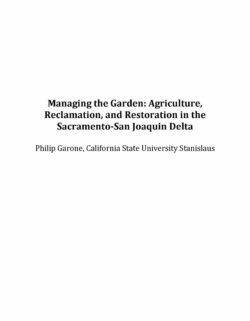 It then traces the various stages of Delta reclamation from the time of California statehood, beginning with Swamp and Overflowed Lands Act of 1850. It examines the challenges of levee building, which was carried out at first by hand largely by Chinese laborers, and later by mechanized equipment, most notably clamshell dredges. Once reclaimed, Delta mineral and peat soils yielded a wide variety of agricultural products, including potatoes, grains, asparagus, sugar beets, and orchard fruits, among others, which are discussed in some detail. 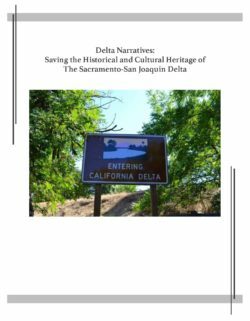 This paper also examines the history of salmon fishing and canning in the Delta before turning more broadly to the twentieth-century federal and state water projects that have affected the Sacramento and San Joaquin rivers in different ways and that at various times have both improved and degraded water quality in the Delta. 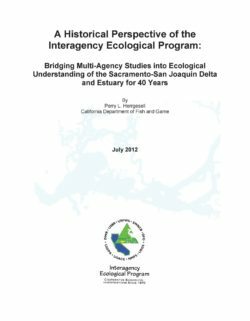 It concludes by coming full circle to late-twentieth century conservation efforts that have aimed to restore parts of the Delta and that have led to the creation of a variety of state, federal, and other protected lands, primarily along the Delta’s fringes, even while the heart of the Delta continues to grapple with seemingly intractable issues of water quality and water conveyance. 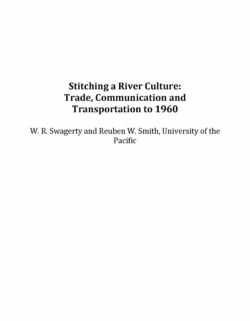 “Stitching a River Culture” explores three themes in the history of the California Delta: trade, communication, and transportation. Heretofore these three subjects have received scant attention, save the history of steamboating and recreational uses of the Delta in recent times. The purpose of the larger narrative is to provide museums, archives, and historical societies with a basic framework that includes these three themes in the context of the larger subjects of agriculture, various kinds of technologies, town building, and reclamation. This narrative begins before Spanish exploration and contact with Native peoples in the last quarter of the eighteenth century and includes the following eras: Spanish, Mexican, Gold Rush, and post?statehood? ?to around 1960. The importance of water was emphasized to all Californians during the 1975-76 water year. A high pressure system persisted off the West Coast for months, preventing Pacific storms from depositing moisture on major areas of the State. 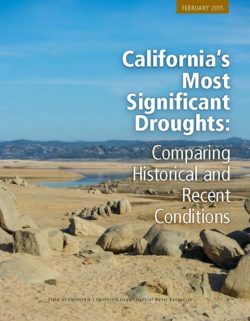 As a consequence, the 1975-76 period turned out to be the third driest water year in recorded State history, being surpassed only by the droughts of 1923-24 and 1930-31. 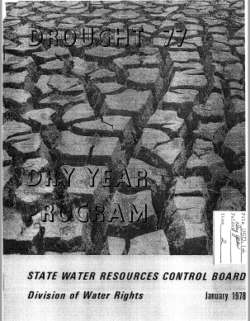 With most of the State•s surface reservoirs substantial l y depleted and meager prospects for normal runoff, Governor Brown - on the last day of 1976 - announced an eight-point drought emergency program. In effect, the emergency program marshaled the resources and personnel of all state agencies in an effort to ease, as much as possible, the social and economic impact on Californians if the drought should continue for a second year . As it developed, 1976-77 became the driest year of record, amply justifying the Governor's foresight. 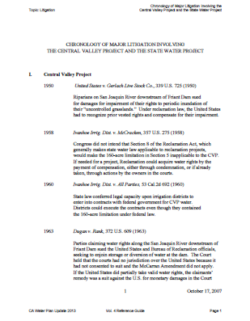 The State Water Resources Control Board (State Board) role in the emergency program was to develop a program of water conservation in cooperation with the University of California; to determine the quantity of water which could be expected in critically dry areas; and to protect the priority of uses of that limited supply in accordance with the State's water rights law. This was particularly important in the case of agriculture, the State's No. 1 industry. It appeared likely that the available supply of water would not meet the needs of farms and orchards for the full growing season or meet the full demand of municipal and industrial users and instream needs. The State Board was concerned that water users would inadvertently interfere with the water rights of others unless forewarned of the extent of availability of water to them. In addition, the warnings would be conducive to early implementation of conservation measures. 3. To assure that the limited water supply available would be used in accordance with established rights. 4. To take enforcement action against violations of permit and license conditions, illegal diversions and waste or unreasonable use of water.